After an illness starting February 2018, Es Sparrow died May 2018. His presence is sorely missed. Many Club Members attended his funeral at Worthing Crematorium on 11th June 2018. His recently restored layout is going out to one of his sons in Barcelona. 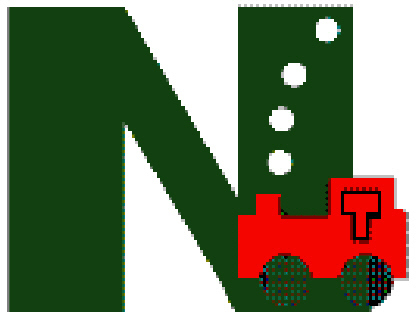 The Club is hosting the N gauge Society AGM in Horsham on 28th July 2018 and also putting on an exhibition at the same venue. Public and Non-NGS members are most welcomed at the exhibition. It now has a dedicated Club Night layout that is very quick to put together so that more 'running' time can be enjoyed by members.